Participants, Achievements, Prizes & Group Interaction. Inspired by the sad realities of South America's revolutionary past. Photos were taken during a visit to Virginia. 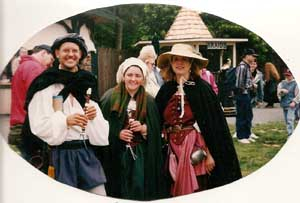 My daughter and her Celtic band performed as part of the faire. Later I wrote my impressions of the event. Looking at the poem to consider it for a contest, several years later, I realized that I could use some of the photos to illustrate the poem, creating a possible coffee table book. © Copyright 2007 Vivian (UN: vzabel at Writing.Com). All rights reserved. Vivian has granted Writing.Com, its affiliates and its syndicates non-exclusive rights to display this work. Generated in 0.54 seconds at 12:43pm on Apr 20, 2019 via server WWW2.